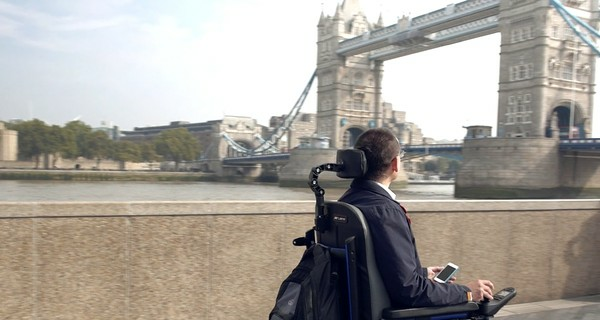 Euan’s Guide is a disabled access review website and app for the UK. It lists not just entertainment venues, but also everyday settings such as supermarkets, stations, post offices and parks, and includes the features disabled people look for when considering accessibility prior to making a visit. The guide, which is now a year old, has gone through very robust testing, works on different devices and platforms, and with assistive technology such as screen-readers, voice navigation and eye gaze. It started life as a list of accessible places in Edinburgh, drawn up by Euan MacDonald and his family & friends. Euan was diagnosed with Motor Neurone Disease in 2003 and now uses a ventilator, speech synthesizer and a powerchair. A year later it has grown to over 1,500 listings in more than 350 towns across the UK with hundreds of disabled people and their carers contributing to the site. The site has been endorsed by JK Rowling, whose mother had Multiple Sclerosis, and Professor Stephen Hawking, who also has Motor Neurone Disease. It is hard to overestimate how life-changing the sort of information the site provides can be: families and carers often waste hours phoning venues in advance in order to plan trips because accessibility information is so poorly presented or unavailable. You can filter information by your specific access requirements, for example, if you use a powerchair. Places are listed and featured on an accessible Google map. The large map direction and zoom icons help those using eye-tracking software and voice navigation. The ‘Nearby Me’ function means you can find accessible venues when you’re on the move.